Robyn Crawford: "Whitney Houston chose the life she led"
Robyn Crawford, Whitney Houston’s friend and former personal assistant, says the singer chose the life she led. While others want to dwell on the bad things that might have led to Whitney Houston’s untimely death, Robyn Crawford has chosen another path. While it’s true that part of Whitney Houston’s life was full of hardship and trouble, Robyn Crawford told Esquire magazine that’s not how she’ll remember Whitney Houston. To illustrate that, Robyn Crawford published some of her most cherished memories with her friend. 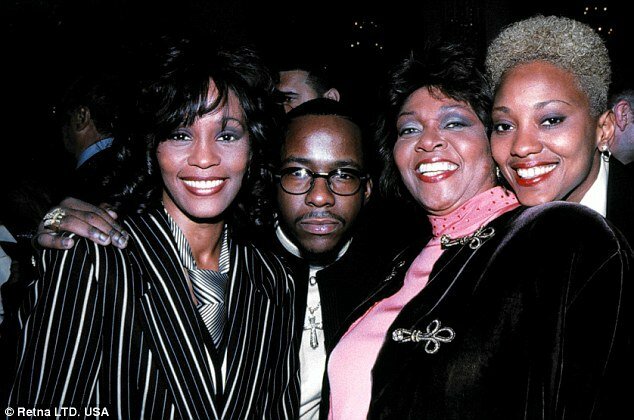 Whitney Houston and Robyn Crawford met years before Whitney became a huge star. In fact, the singer was just 16. However, Whitney Houston and Robyn Crawford formed a quick friendship and a bond that grew and blossomed. The singer even hired Robyn Crawford to work with her. Robyn Crawford recounts a certain trip around the world they made together. She flew first class with Whitney Houston and stayed in the same hotels as she did. “She fed everybody with her love,” Robyn Crawford says. There’s no denying that Whitney Houston loved the high life, but she also shared it with those she cared about. As for her work life, Robyn Crawford says Whitney Houston always gave whatever she was doing 100 percent of her energy. Whitney Houston worked as hard as she played. “It was never easy. She never left anything undone,” says Robyn Crawford. Robyn Crawford also compared Whitney Houston’s performance of “I Will Always Love You” to that of an athlete at the peak of his or her career. Still, Whitney Houston’s death was a shock. Robyn Crawford says February was a special month to her friend. Whitney Houston released her first album on Valentine’s Day. It was a Grammy month and the time of her mentor, Clive Davis’s, big party. Those were all things to which Whitney Houston looked forward to. Robyn Crawford hopes that people will remember Whitney Houston for her talent and her drive and not just for the fact she took drugs. “A lot of people take drugs…,” Robyn Crawford notes.